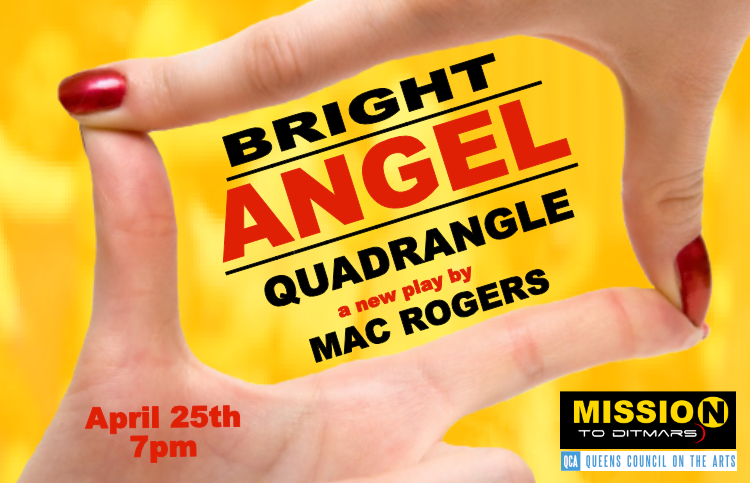 Mission to (dit)Mars is thrilled to continue this season’s Launch Pad Reading Series with BRIGHT ANGEL QUADRANGLE, a new play by Mac Rogers (The Honeycomb Trilogy, Frankenstein Upstairs). From the creative team that brought you the critically acclaimed THE HONEYCOMB TRILOGY (Gideon Productions) comes a brand new play about a contentedly married woman who finds her life turned upside-down one evening when she falls instantly in love with her friend’s new boyfriend, quickly turning into a horror story about love at first sight. The cast includes Rebecca Comtois, Tatiana Gomberg, Stephen Heskett, and Sean Williams. The reading is directed by Jordana Williams. 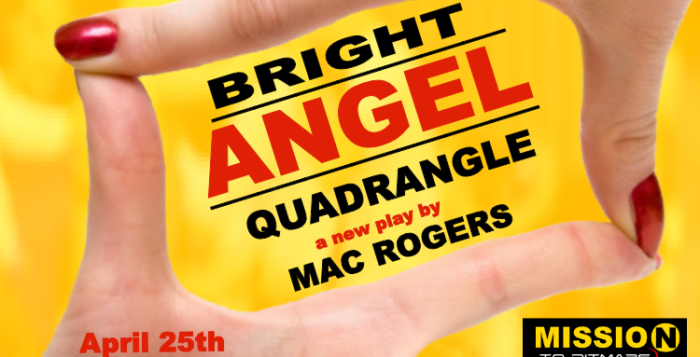 “Bright Angel is an endlessly fascinating look at extreme love at first sight. Mac’s work always borders on the magic, and this play takes the magic of our endless need for love to an extreme, hilarious and borderline compulsive edge” describes Laura Pestronk, Mission to (dit)Mars co-founder. Mac Rogers is a current member of the Propulsion Lab, Mission to (dit)Mars’ bi-monthly writers group and currently resides in Astoria. This free play reading will be held at Long Island City Music Academy on Monday, April 25th at 7pm.